Thank you Stella Virdi – you are amazing.. you made our day! 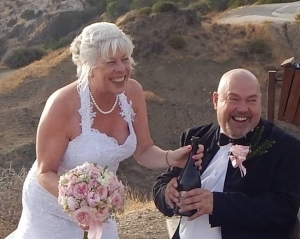 Lyn and Ted who married here in Cyprus 3 years ago this weekend..
For me a life-changing experience. We are now living here and I am enjoying helping other couples who want to make their day special. Whether it is a wedding celebration, LGBT marriage celebration, or a vow renewal.. I would love to help make your day a day to remember using words which you are comfortable with, and words which mean something to you.. You can include music, readings, symbolic ceremonies such as hand fasting or sand blessing.. 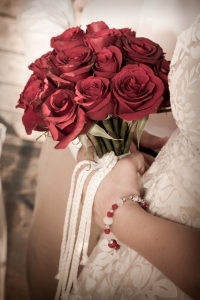 Your Cyprus wedding flowers are an integral part of your theme; and set the tone of decor to follow. 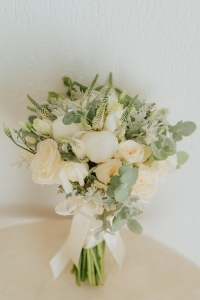 We have had some beautiful bridal bouquets. As a planner its my job to deliver the bridal bouquet to my bride during bridal preparation. I normally walk into a room filled with activity and fun (and champagne), bridesmaids, mother of the bride, hair-dressers, make-up artist and photographer snapping away. Handing the flowers over to my bride usually brings tears and happiness.. So it begins…. Here are a few that I especially loved. 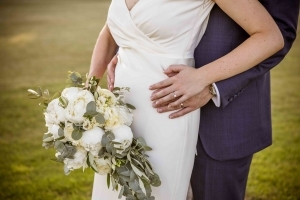 Our Cyprus Wedding florist is so talented and can make pretty much any bouquet a bride desires. 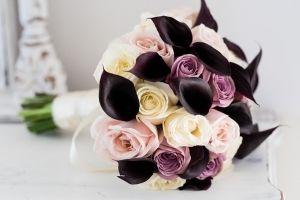 It is important to place your order a few weeks before your wedding as some of the more unique and exotic flowers are flown in from Holland and Ecuador; which need to be ordered well in advance. From the beginning when we were just trying to understand what getting married in Cyprus means, Stella was very attentive and helpful, responding to all our questions and concerns. Throughout the preparation of documents and finalizing trip details (coming from Israel), she guided us expertly in requirements and process, even with last minute complications. 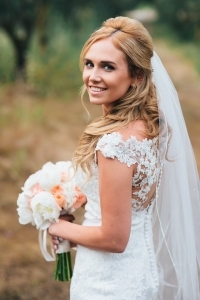 Upon arrival in Cyprus, she had seen to all the arrangements with the Town Hall, booked us a great photographer in Petros Stylianakis (http://www.petrosstylianakis.com), and made perfect impromptu flower plans with her connections the evening before the wedding. A special thanks for the personal chauffeuring the day of the wedding! Aside from her professional excellence, she was very kind and sympathetic, and we shared some nice bonding moments with her in the first face-to-face meeting the day before the wedding, and over coffee while we waited for the Town Hall to process documents. 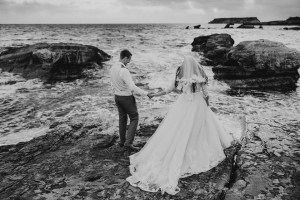 We are finally back home and I have time to share my experience about our wonderful wedding in Cap St George. I was really worried when we chose it as there were very less reviews about the hotel and we were not able to come in advance to see it. However, it was the best choice we could make. Our wedding was so perfect, that if I would have an opportunity to go back in time and try to make something different, I wouldn’t do it as there were no single disappointment. I’m really happy that our wedding planner was Stella Virdi, she was so amazing and helpful. I didn’t have any bridezilla moment as everything was taken care and I could just relax and enjoy the day. She made our day and planning much easier and helped us a lot with all the crazy paperwork problems. I also was amazed how beautiful she made our decor. I just sent her a couple of pictures with ideas and trusted her, and everything was just as I dreamt. I really can’t imagine to plan everything myself without her. Now back to the venue. Cap St George is modern and wonderful hotel with amazing view. Excellent service, delicious food and very accomodating team to your requests. Thanks to Samantha who is taking care of the events in the hotel. One of the best things in my opinion, you will have a really private wedding without any curios people around in their Speedo and bikinies. You will feel that your day is special and it’s special not just for you but for the team of Cap St George too. We had our wedding on 20 June, so we don’t have the whole photoshoot and videos yet. But thanks to Andrzej Sosinski for sharing a couple of pictures with us and just wow. Can’t recommend him enough, was such a pleasure to work on the photoshoot with him. There are more people to whom we are really grateful for making our day perfect, like Kirsty with her amazing singing or Black George, but I will share more details, pictures and videos once we get them, so hopefully they will help some future brides to see all the beauty of this venue. And please, feel free to contact me if you have any doubts and need information! Monasteries are all the Rage for weddings in Cyprus. I do love this venue for weddings, defiantly my favorite venue of all in Paphos. this Byzantine Monastery set in the elegant grounds of breath-taking Cypriot landscape with olive groves lining the way to this unique venue. 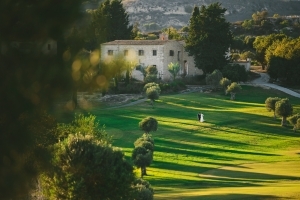 With its modern club house overlooking the lush green lawns; with the monastery set beautifully as the back-drop; its an impressive venue for your Cyprus wedding Venue. Five star all the way, this will wow and impress your guests. the service and food being excellent with amazing menus to choose from. I have had many weddings at this venue and will continue to sing its phrases as all have been excellent. 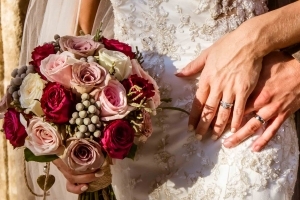 Don’t hesitate to contact Stella virdia@cytanet.com.cy to plan your spectacular wedding at Minthis hills Resort. Stella made it happen for us! Thank You For Our Perfect day! Guy on 1 Day Express Weddings in Cyprus! Stella Virdi on 1 Day Express Weddings in Cyprus! Jean Harvey on 1 Day Express Weddings in Cyprus!